Neither a career overview nor typical biography Margarethe von Trotta‘s SEARCHING FOR INGMAR BERGMAN maybe the best cinematic portrait of a director I’ve run across. There is something about how the film brings the cinematic god down to earth that is absolutely delightful. Purely a look at the man himself by the people who knew him the film ends up giving us a sense of who he really was. I’m not sure where to begin, there are so many great stories that I don’t know where to begin, or even if I should bother relating them since you’ll want to hear them yourself. The one that hangs with me is the one told by his son of making a film his father wrote. The elder Bergman who really didn’t spend a lot of time with his kids and was so deeply affected by a scene where an older son confronts his father who realizes all that he had missed who his wife and family were that he wanted the scene cut. Bergman’s son refused to do so and after an emotional discussion allowed him to keep it saying he would never see the film again. The man who made films of great introspection and emotion didn’t always want to do the same as his characters. Seeing the film I suddenly felt I understood his films better than before because I could kind of see where they were coming from and what he was trying to do. Not on an intellectual level but a personal one. Discussions by Liv Ullman and others makes you realize that many of his characters are not other people but Bergman himself. Additionally themes and ideas that run through the films are connected to life as lived and not life as intellectualized. When it was done I wanted to pull his films out of my collection and watch them again with this new insight. If you love or even like Bergman’s films this is a must see. I can’t imagine any sort of fan not getting something out of this film. 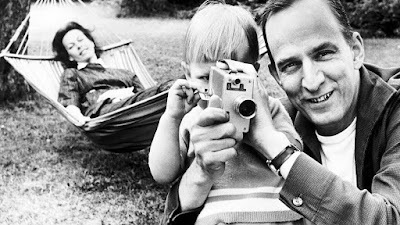 While I’m not sure how this will play for anyone who doesn’t know Bergman’s films, I do think that it is a very good examination of a filmmaker at work. One of the great finds of 2018, it is highly recommended for any and all film fans.